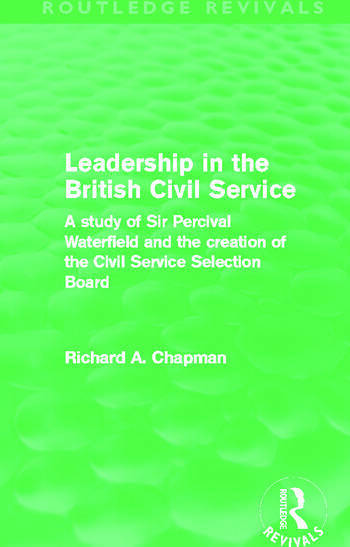 First published in 1984, this book examines the style of leadership amongst senior civil servants and its impact on administrative reform by investigating the work of Sir Percival Waterfield who was First Civil Service Commissioner from 1939 to 1951. He was responsible for setting up the Civil Service Selection Board which was the key institution in the pioneering new approach to personnel selection initiated in Britain after the Second World War. It has been regarded as the model for personnel recruitment in other contexts and for civil service recruitment in other countries. The book raises fundamental questions about the criteria for recruitment and promotion of leading officials in British central government and offers a rare glimpse of the day to day work of top civil servants and the administrative culture in which they operate.